Michelle A. Schrouder is the associate director of the Wellness Instructional Program at RIT. She earned her bachelor’s degree in psychology from St. Bonaventure University where she was a member of the women’s Division I soccer team. She holds a master’s degree in counseling from the University of Rochester. 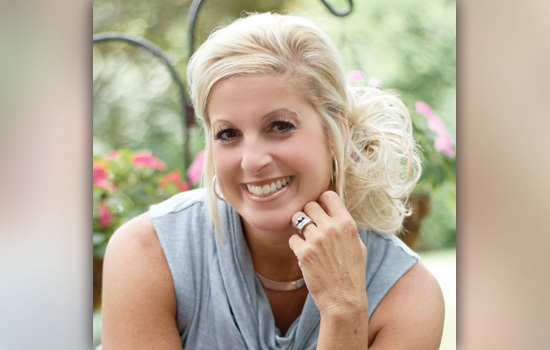 Her counseling and fitness certifications include Coaching Healthy Behaviors (Cooper Institute), Stress and Weight Management (AALC), Wellness Program Manager (Summex Health Management), Fitness Specialist (RIT CBET), TLS Weight Loss Solutions and various national fitness certifications including Group Fitness, TurboKick and Insanity. The good news is that there are realistic options to having a healthy holiday season and not feeling like you need to completely start over Jan. 1. If you eat sensibly and stay active all year, your patterns will correlate with long-term success in your overall health. 1 - First, it’s important to determine what type of eating style you have. Careful eaters are triggered by their own fitness and health. Unconscious eaters consume food while they are doing something else. Chaotic unconscious eaters are triggered by an overscheduled life. Refuse-not unconscious eaters are triggered by the presence of food in candy jars, meetings or anywhere food is present. Waste-not unconscious eaters are influenced by the all-you-can-eat options or the dollar menus. For them, it’s about getting the most for their money. Emotional unconscious eaters eat when they are stressed or their emotions make them feel uncomfortable. Professional dieters are always trying the latest commercial fad diet and cannot be consistent with meal planning or making healthy choices. Intuitive eaters are triggered by biological hunger and make food choices without experiencing guilt. They honor hunger, respect fullness and enjoy the pleasure of eating. 2 - Once you determine your eating style, here are a few tips that will help with your ongoing success when transitioning from Thanksgiving to New Year’s Day. Make food your ally: Eat when you are hungry and stop when you are full. There is no perfect eating plan, and perfection isn’t always healthy either. The motto “everything in moderation” will provide you with a sense of self-management. Treasure the feeling of how your food tastes, savor the aroma, eat slowly and do nothing else while eating. Silence the food police, whether it’s your own voice of negative self-destruction-type questions or from others trying to sabotage your healthy eating plan. Don’t smother your emotions with food. The holiday time can be very trying on emotions, so think about how eating is serving your feelings. Cherish your own personal movement. Determine what your motivation is to move more. Whatever motivates you will assist you in making your own personal movement a consistent priority. 3 - The “start over” mentality after the holidays is truly about patterns being disrupted. Reflect on your eating and exercise behaviors from January to October and try to approach the holiday season with a cost-benefit mentality. The short-term costs may be that it will be hard to find time to exercise during this time of year and staying on track may interfere with your social life because you will not be able to indulge like you normally do during the holidays. The short-term benefits are that you will continue to feel in control and healthy if you keep your pattern of eating healthy and exercising consistent. The long-term costs are that you may fail with this consistent approach and feel discouraged. The long-term benefits are that your physical health will improve and you will feel in control. 4 - Reflect on the last time you set a wellness goal for you and achieved it. A goal for the holiday season should be to try to stay consistent with your healthy eating and regular exercise program. 5 - Lastly, it’s important to realize that to be healthy doesn’t mean that you have to live with a pre-programmed-to-the- second schedule that details every time you eat, exercise, work, sleep or play. But to live without a smart plan may not keep your body systems running smoothly. Your plan should include personal movement daily; adequate water intake; sufficient sleep; a diet full of fruits, vegetables and whole grains; and meaningful personal relationships.